Are you enthusiastic, committed and passionate? Would you like to work in a rewarding & supportive environment? PureCare is always on the lookout for talented individuals to work in its high quality residential and supported living services throughout Medway. We aim to offer the best standard of support for our clients. Do you feel you have the skills to offer high quality support to another individual? Full training will be provided. You will need to be flexible and must be prepared to work on a 24 hour 7 day rota. 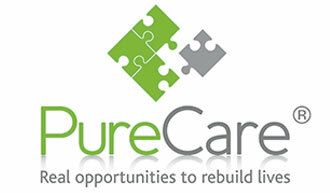 If you feel you have what it takes to become a member of the PureCare team then please click on the button below to start your application process. A Disclosure and Barring Service check and employment references will be required.